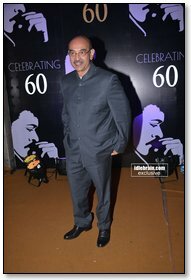 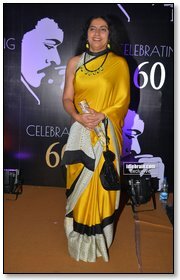 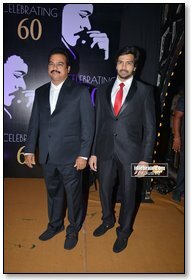 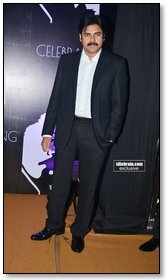 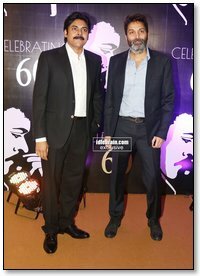 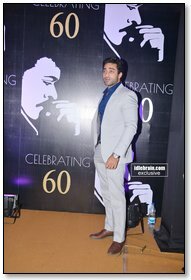 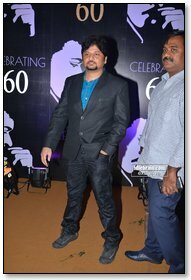 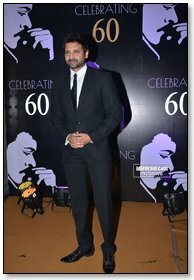 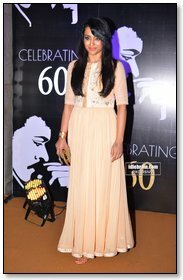 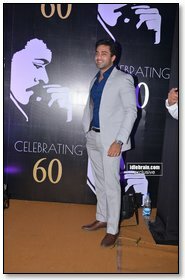 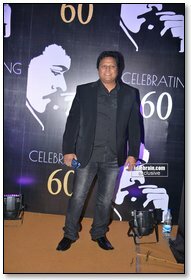 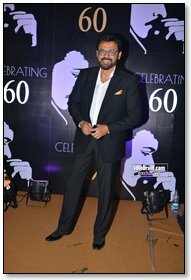 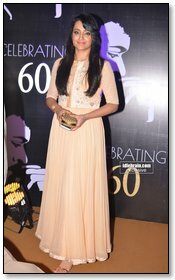 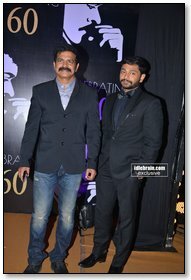 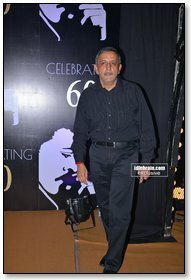 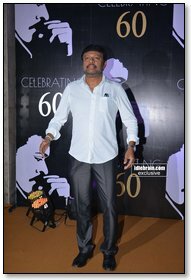 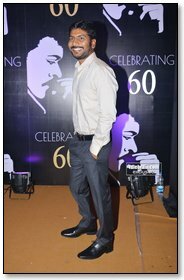 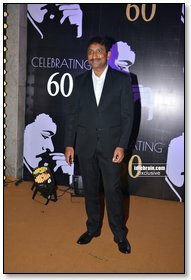 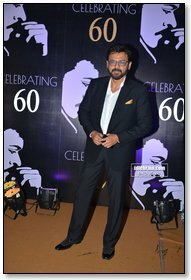 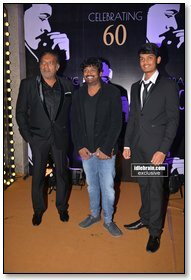 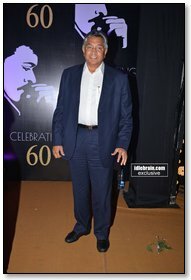 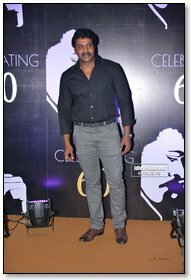 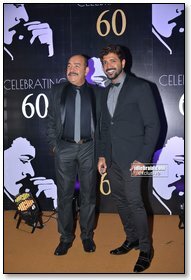 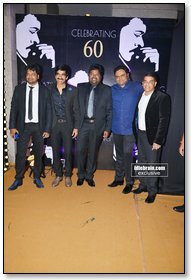 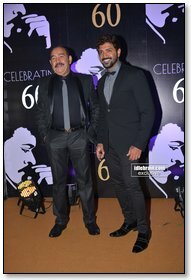 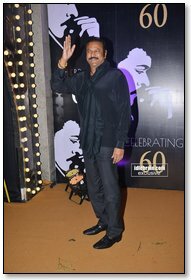 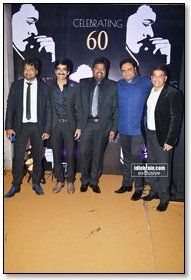 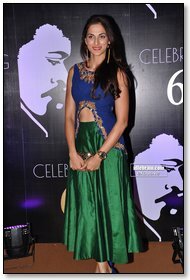 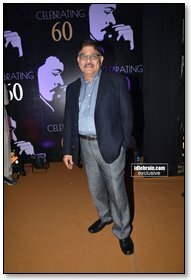 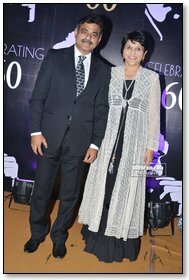 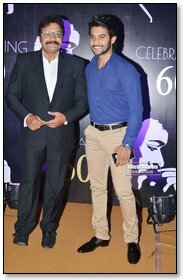 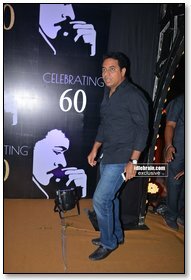 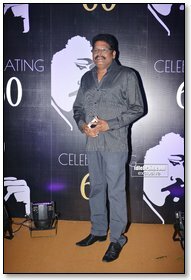 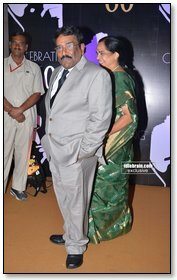 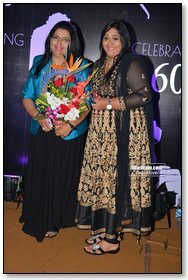 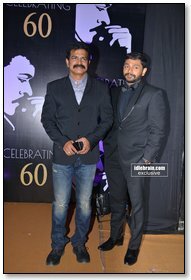 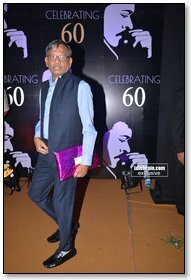 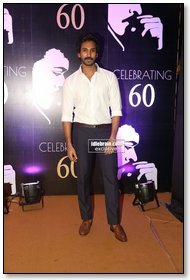 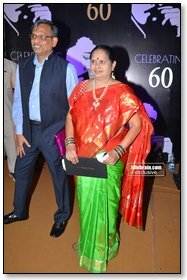 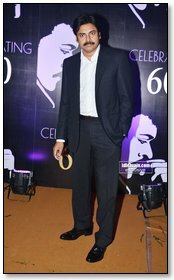 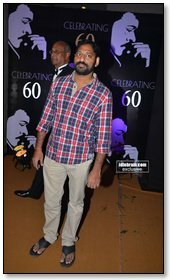 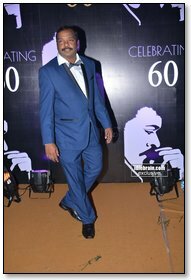 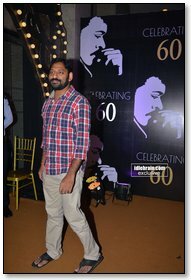 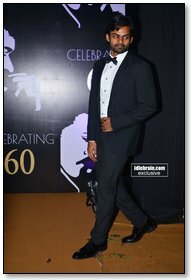 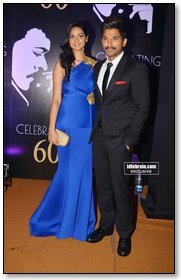 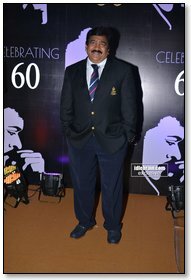 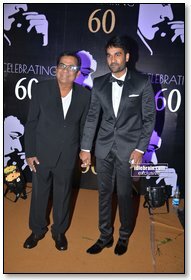 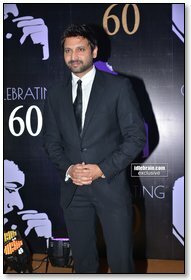 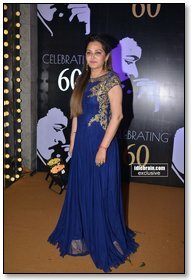 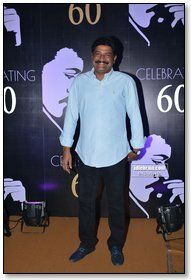 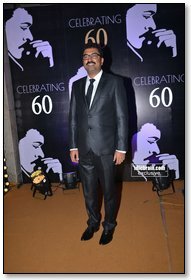 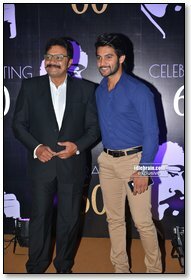 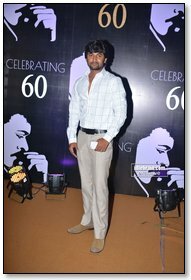 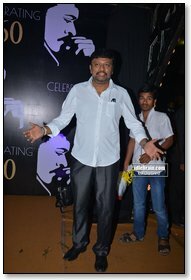 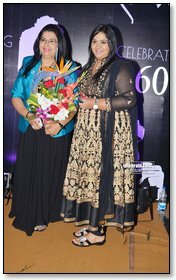 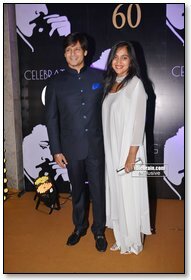 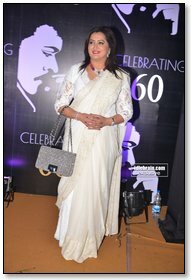 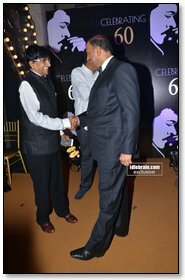 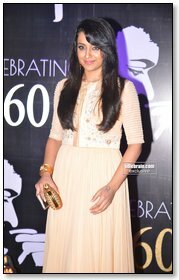 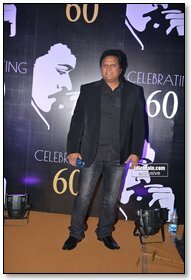 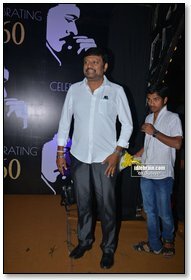 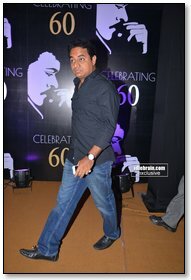 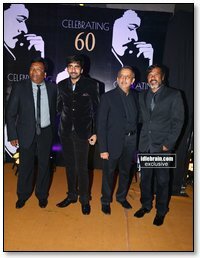 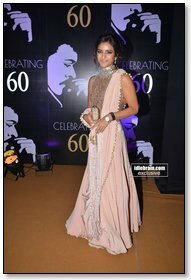 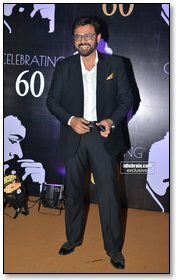 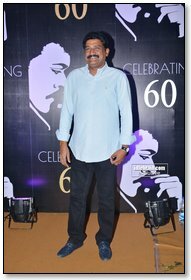 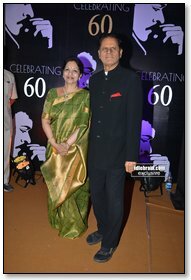 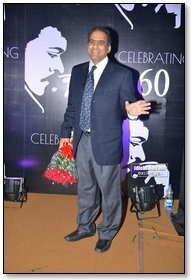 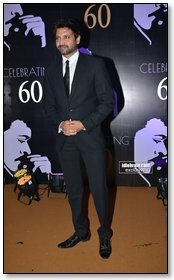 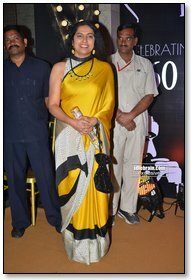 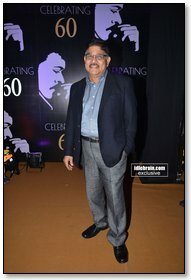 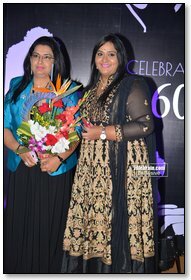 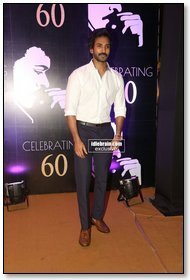 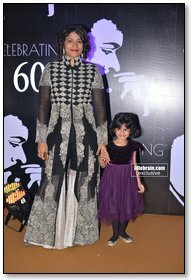 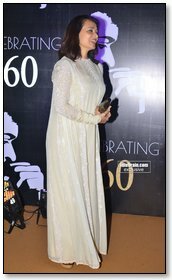 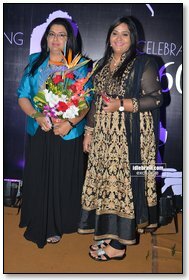 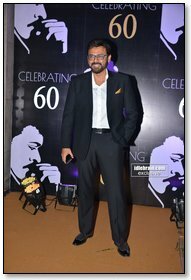 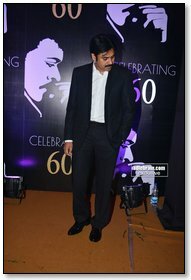 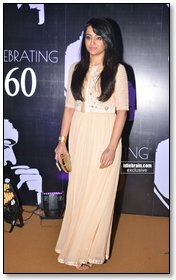 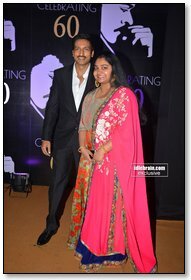 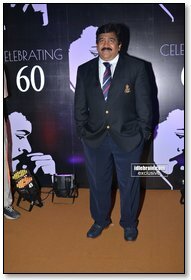 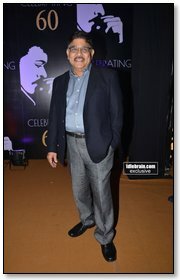 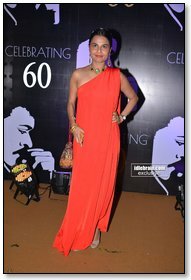 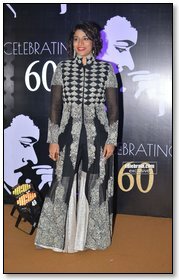 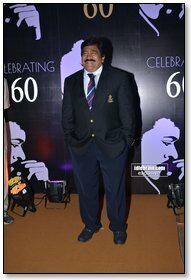 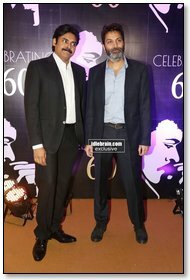 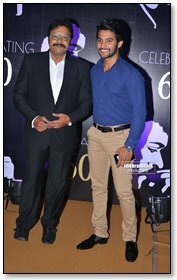 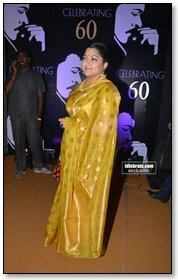 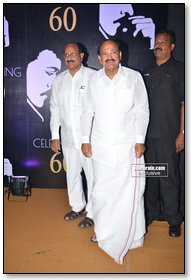 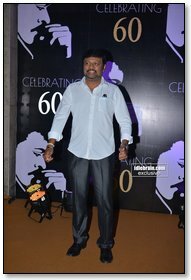 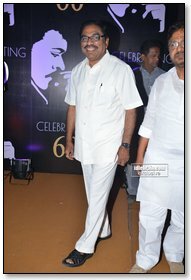 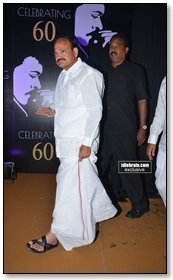 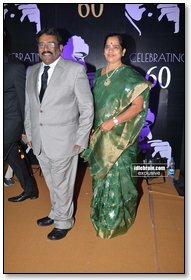 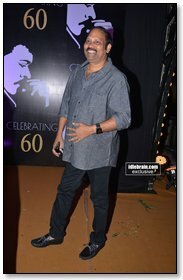 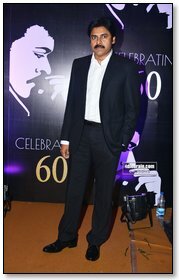 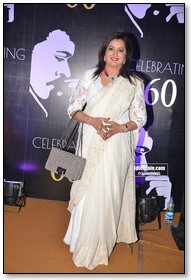 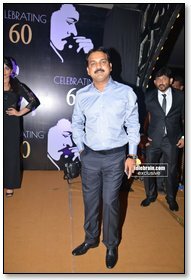 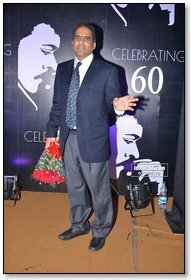 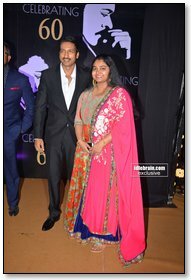 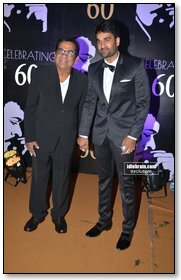 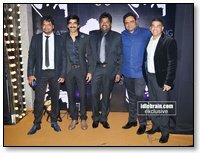 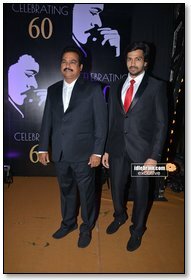 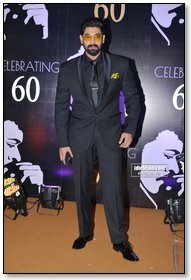 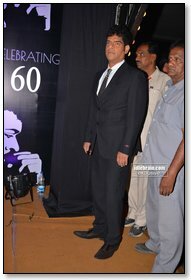 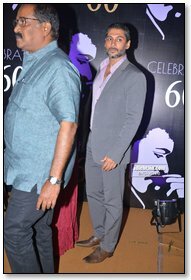 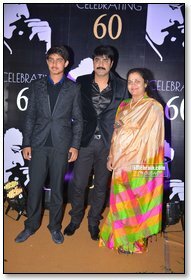 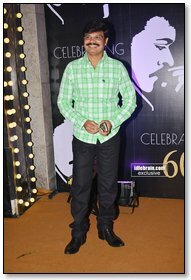 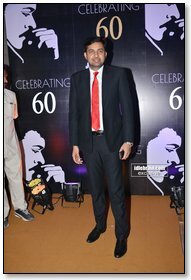 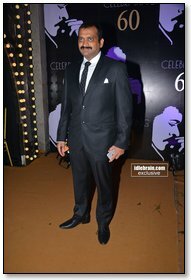 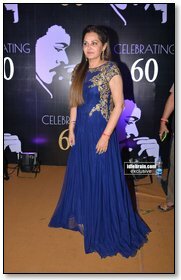 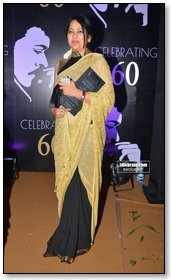 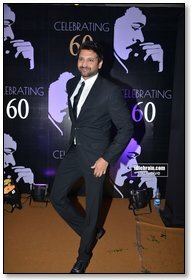 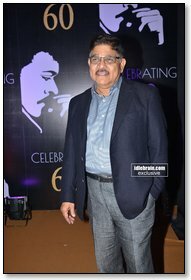 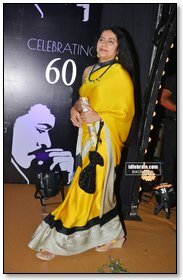 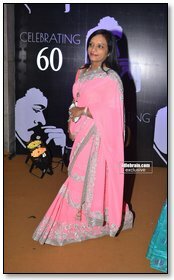 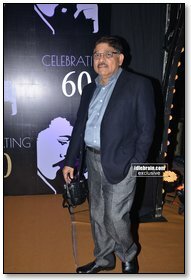 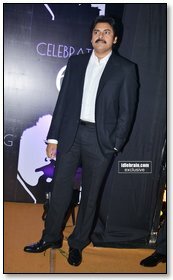 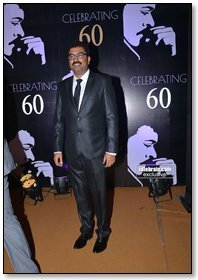 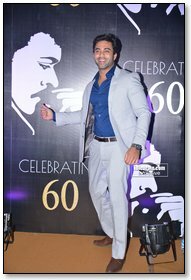 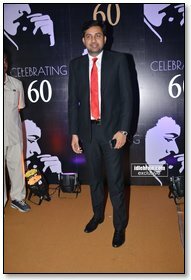 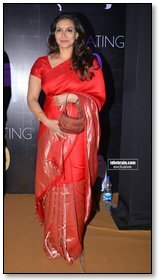 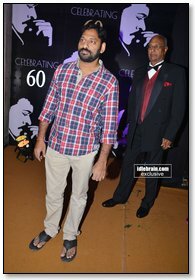 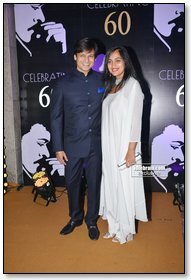 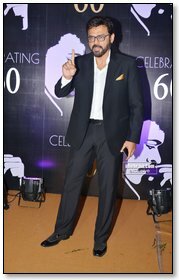 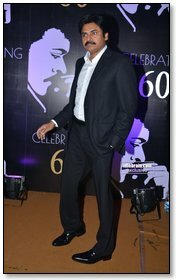 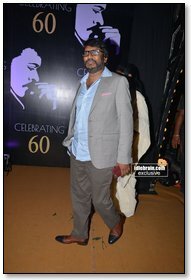 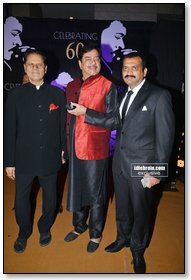 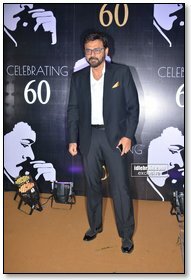 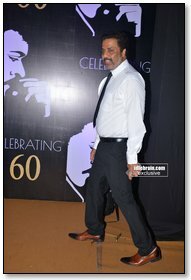 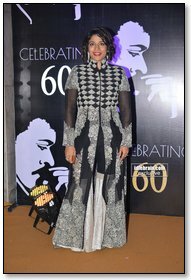 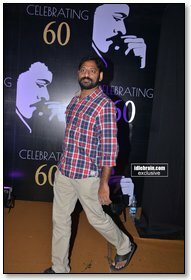 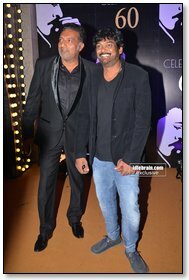 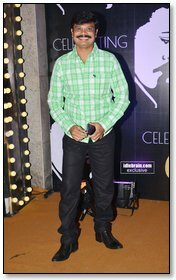 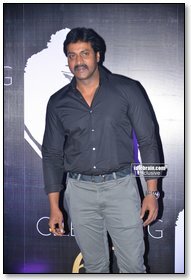 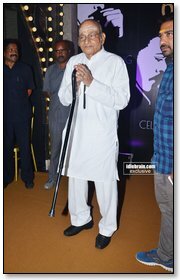 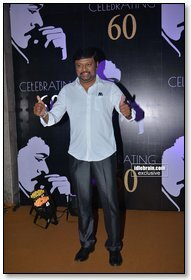 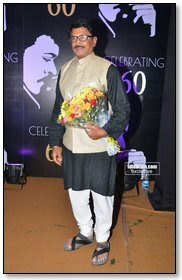 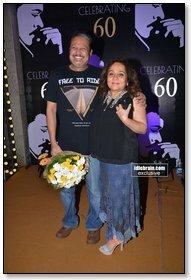 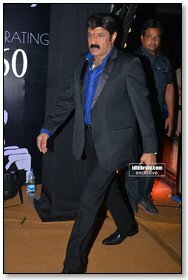 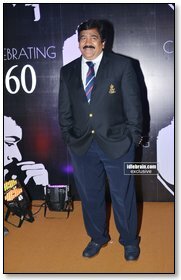 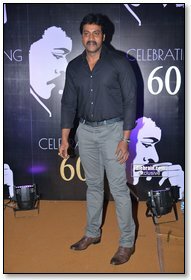 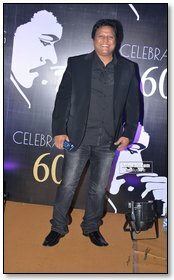 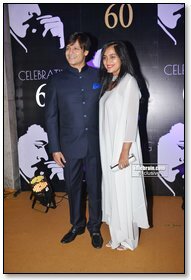 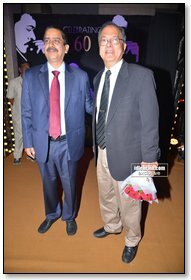 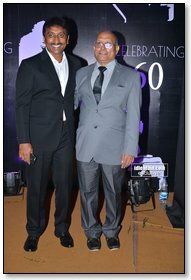 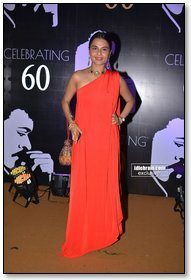 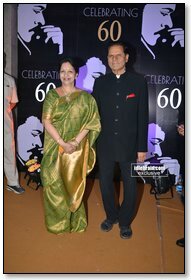 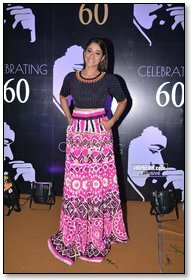 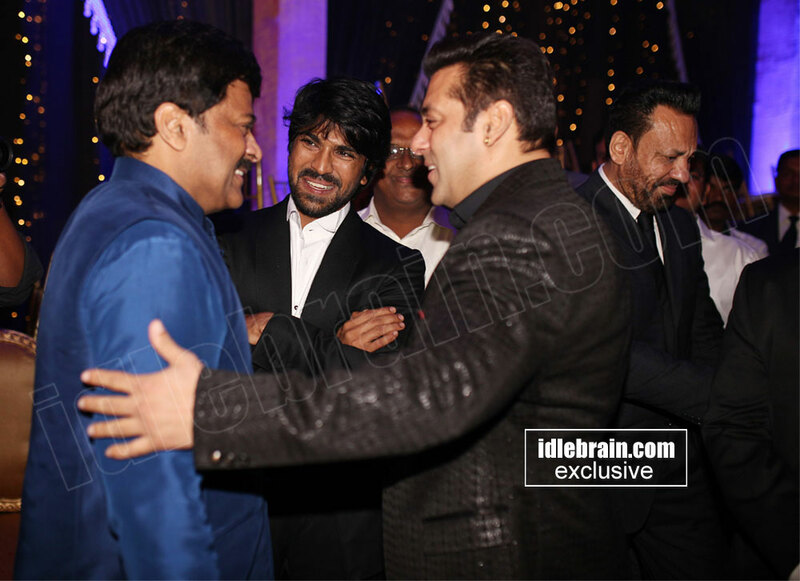 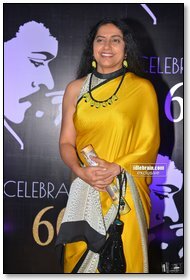 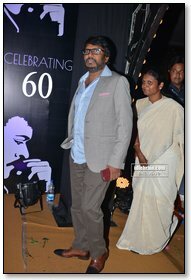 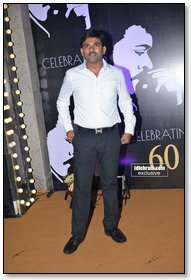 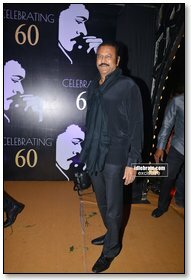 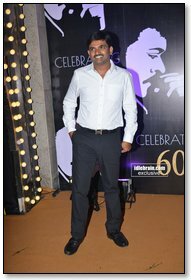 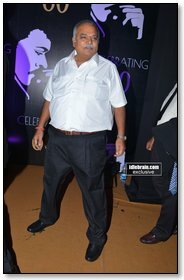 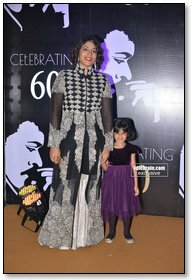 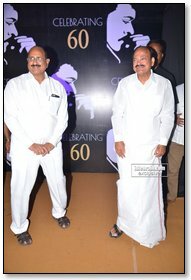 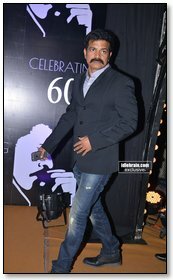 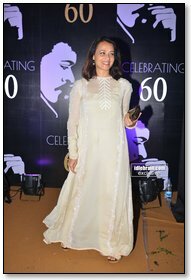 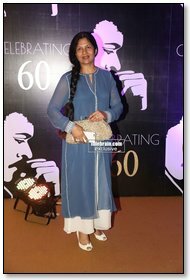 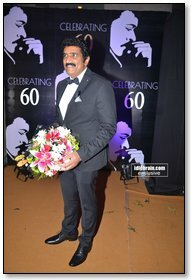 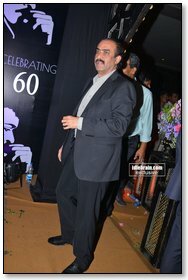 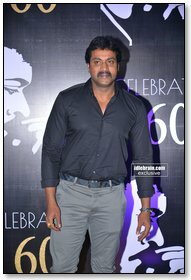 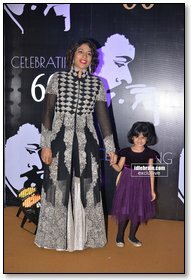 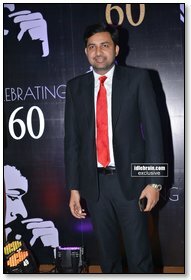 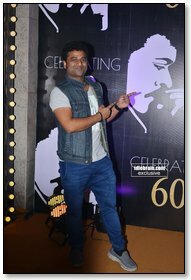 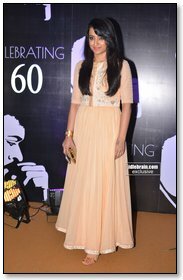 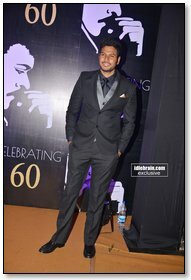 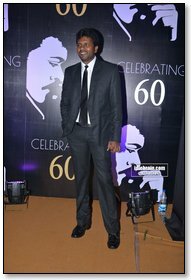 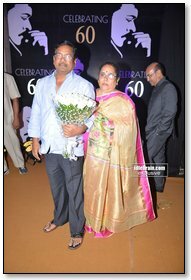 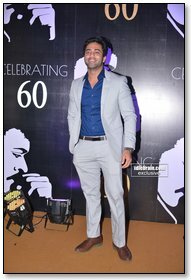 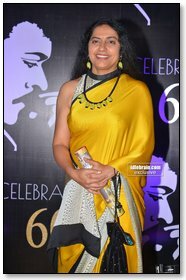 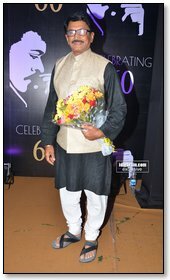 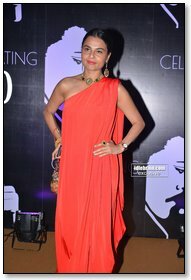 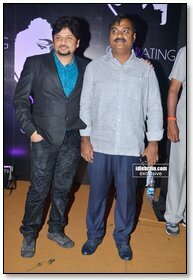 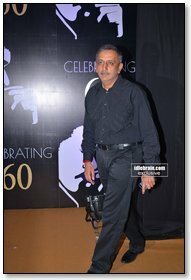 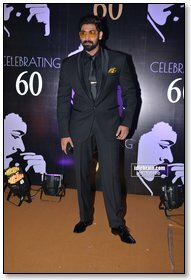 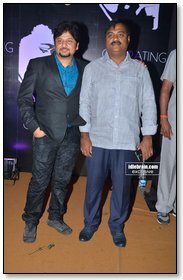 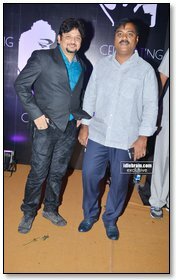 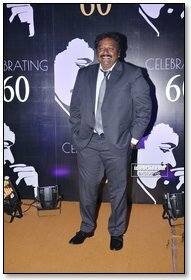 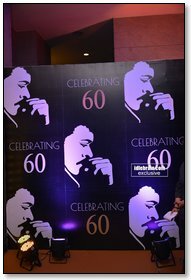 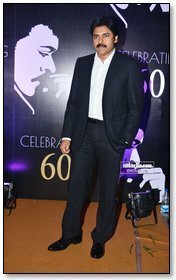 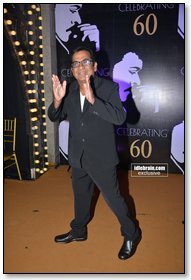 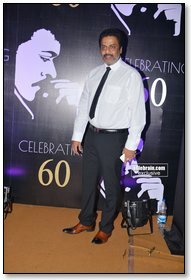 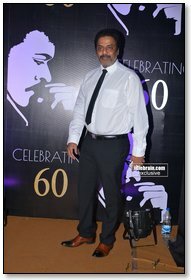 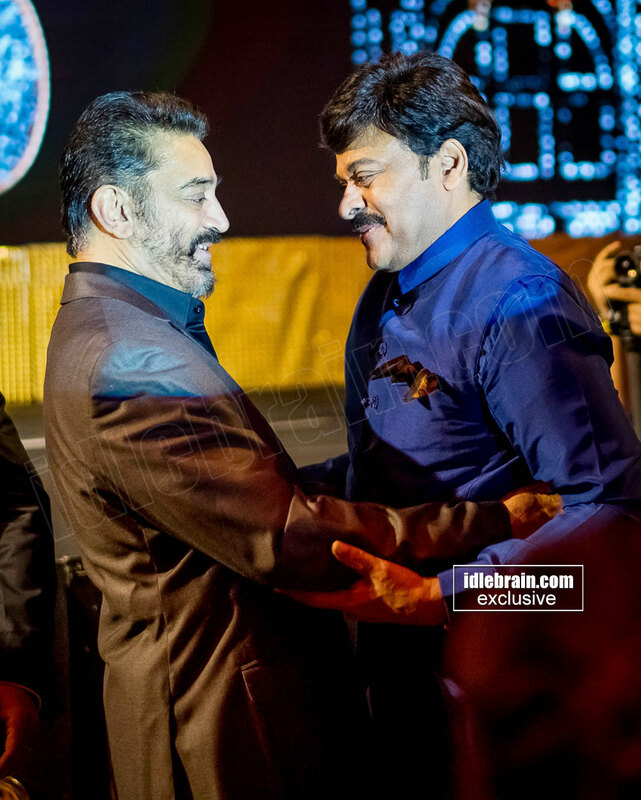 The Indian Film Industry comes together to celebrate Megastar Chiranjeevi's 60th Birthday ! 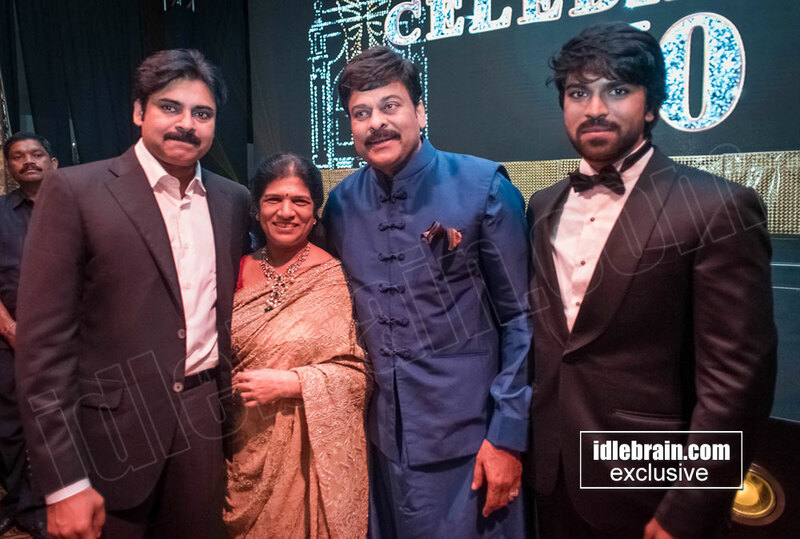 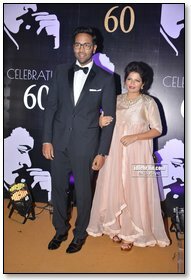 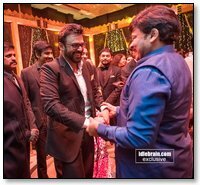 Superstar Chiranjeevi turned 60 on Saturday, and several big names from the Indian Film Industry turned up at the grand soiree hosted by the star's son ,Ram Charan,to celebrate his big day. 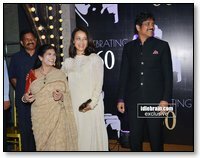 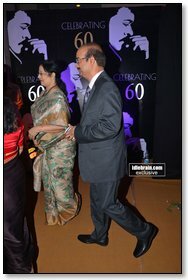 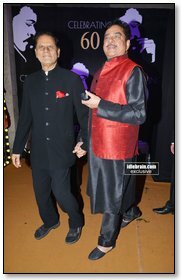 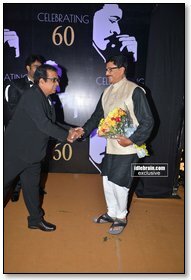 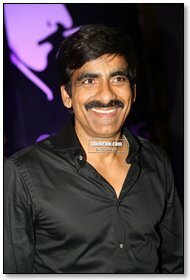 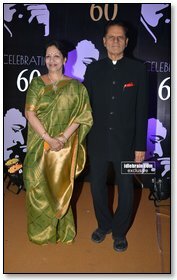 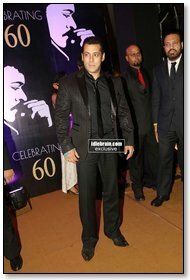 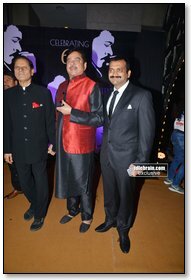 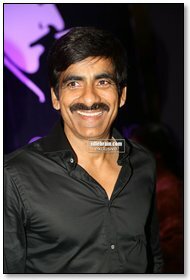 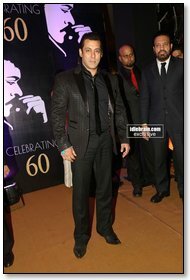 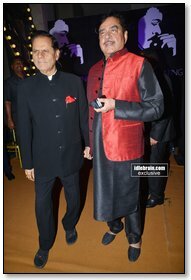 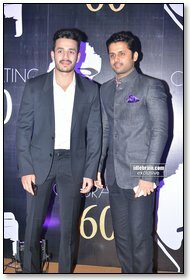 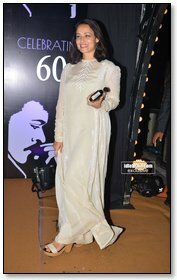 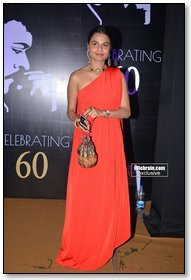 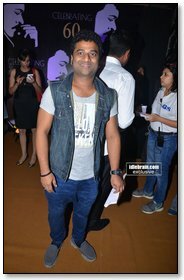 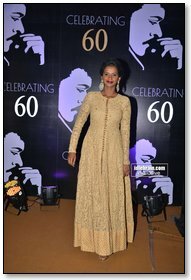 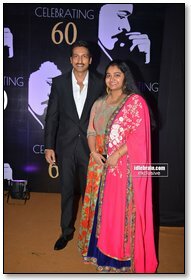 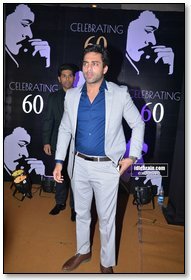 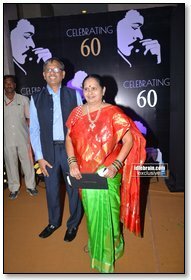 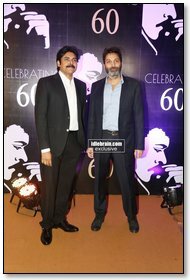 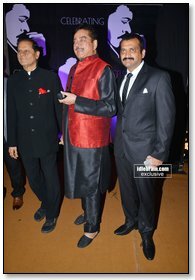 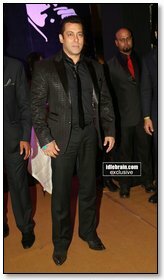 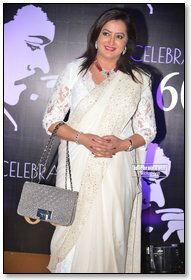 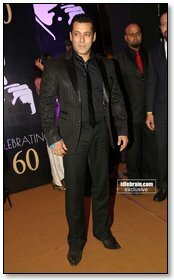 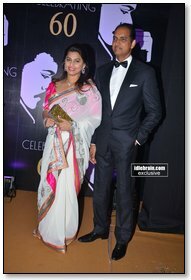 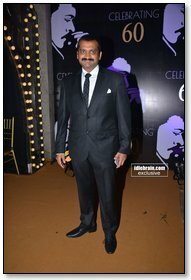 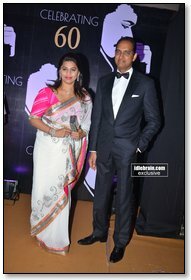 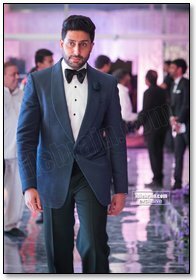 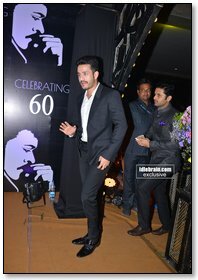 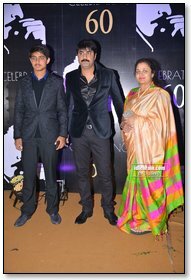 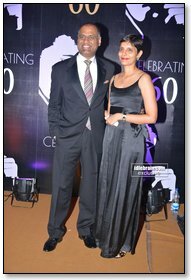 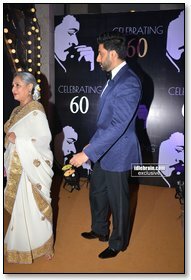 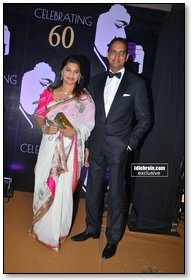 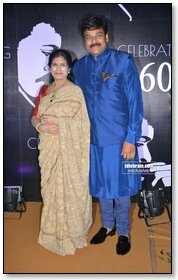 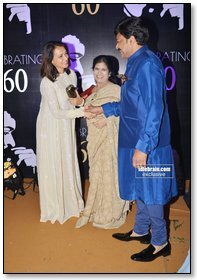 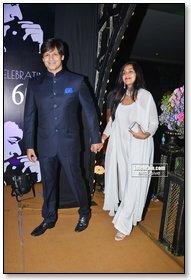 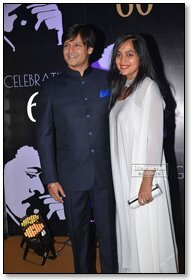 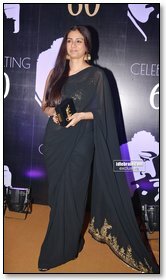 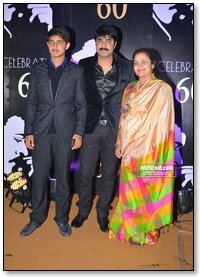 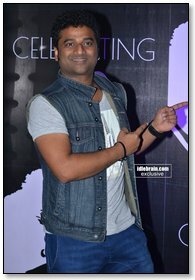 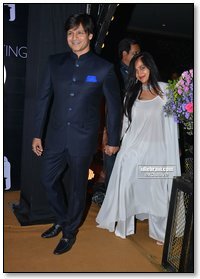 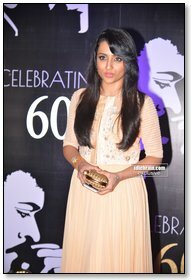 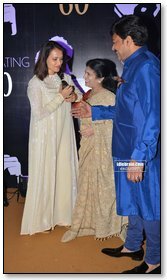 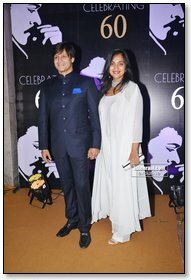 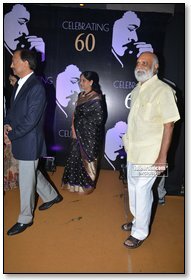 Held at a plush 5-star in Hyderabad, the party was truly one to remember as guests including Salman Khan, Jaya & Abhishek Bachchan, Boney Kapoor & Sri Devi, Surya, Venkatesh , Jaya Prada, Prakash Raj, Vivek Oberoi, Shatrugan Sinha, Tabu, Illeana D'Cruz, Nagarjuna, Shriya Saran, Tamannaah, Ravi Teja were treated to some of Chiranjeevi's favorite food, all named after his blockbuster films.Another highlight at the party was "Chiranjeevi Dosa" .Named after the superstar, the dosa has been specially created by Chiranjeevi. 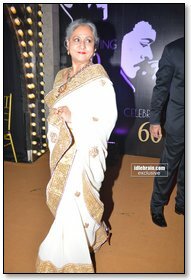 The batter of the dosa was made at the star's house and then transported to the hotel where the party was held. 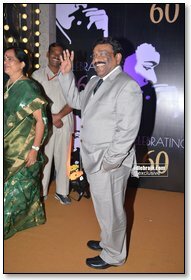 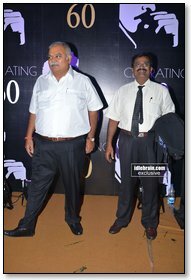 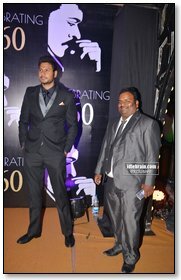 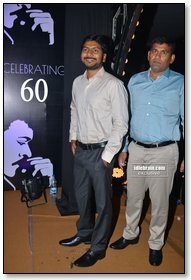 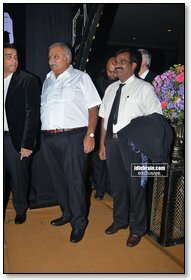 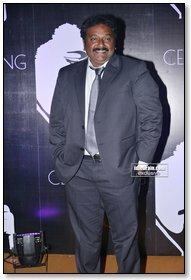 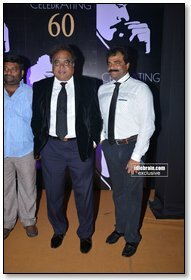 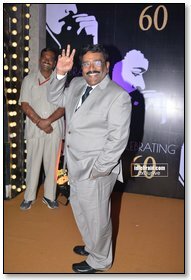 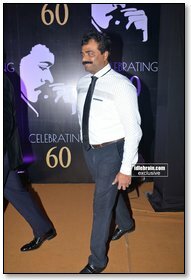 In fact the head chef of the hotel had met with Chiranjeevi to understand the recipe and technique. 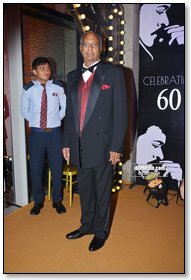 A special counter was set up in the ballroom serving his signature specialty. 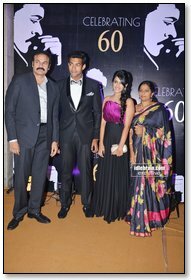 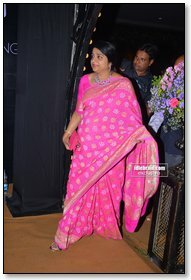 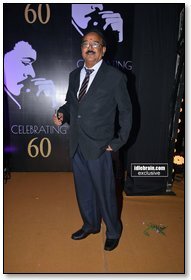 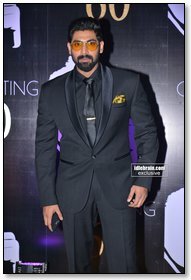 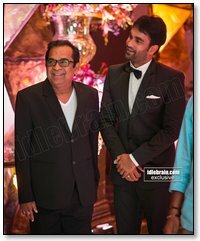 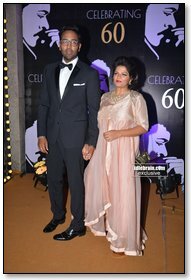 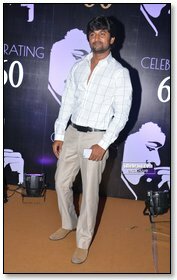 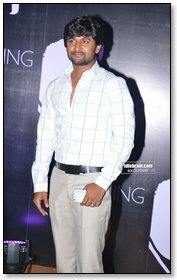 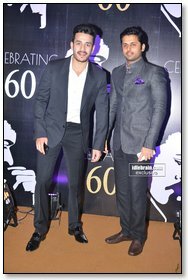 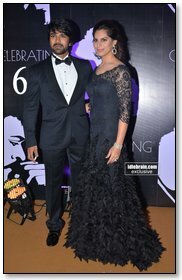 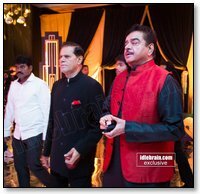 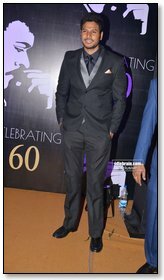 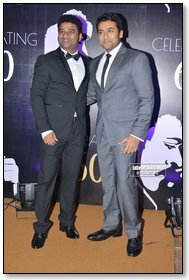 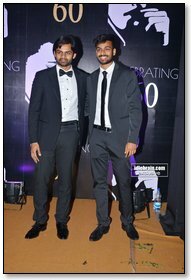 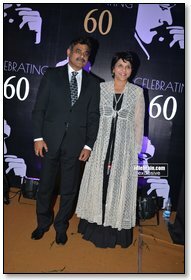 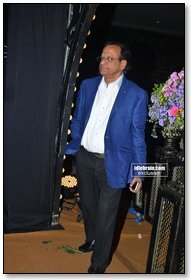 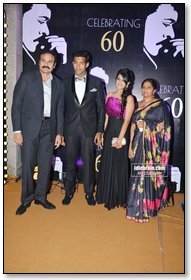 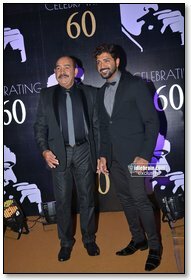 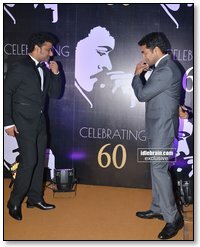 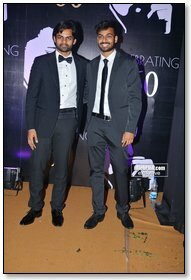 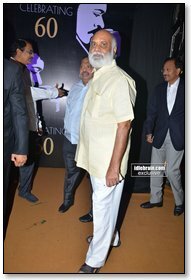 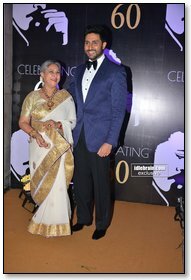 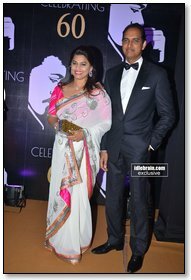 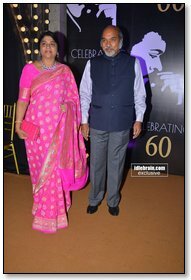 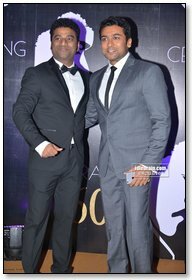 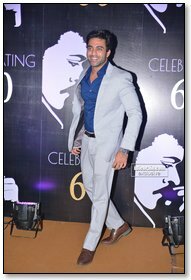 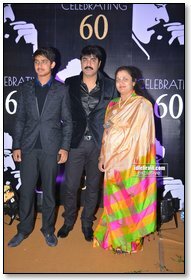 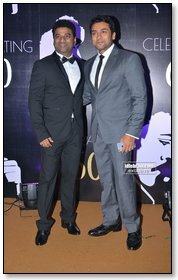 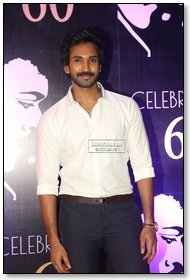 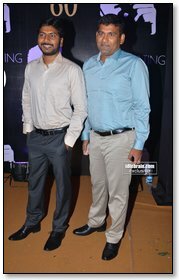 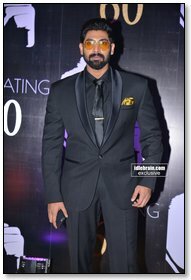 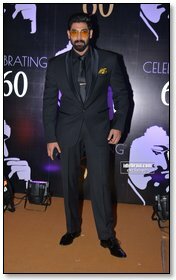 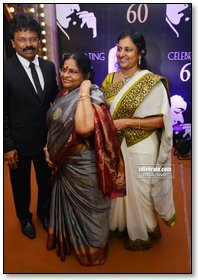 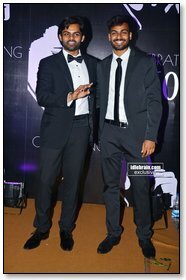 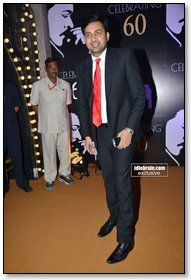 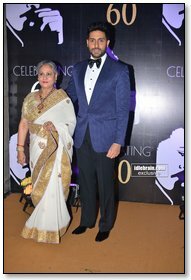 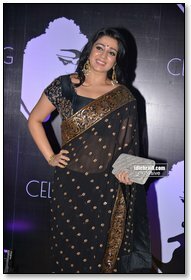 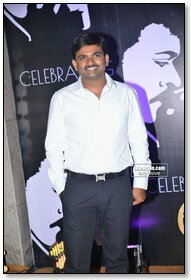 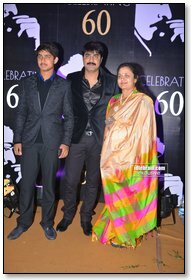 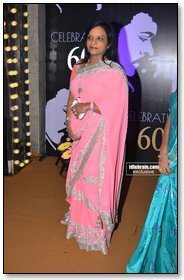 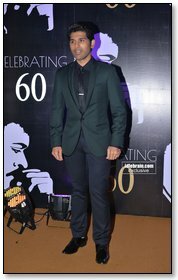 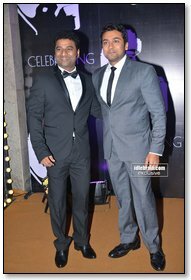 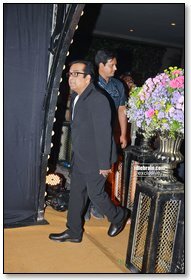 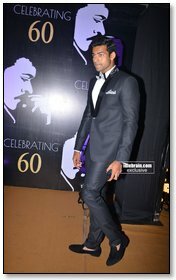 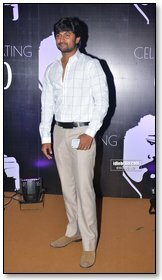 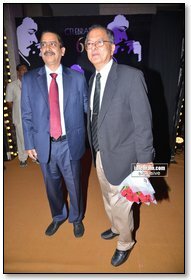 Ram Charan personally looked into the details of the party, including the decor,guest list and food among other aspects. 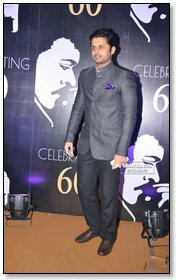 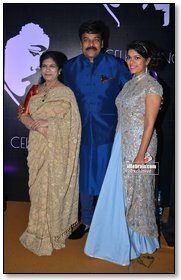 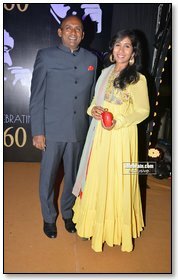 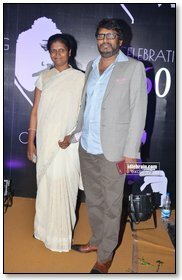 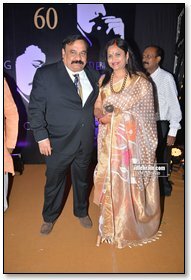 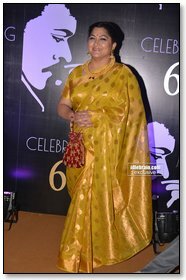 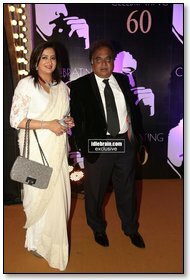 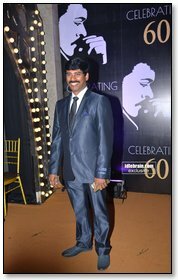 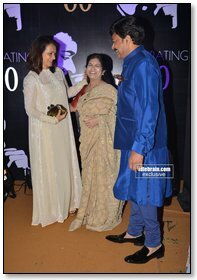 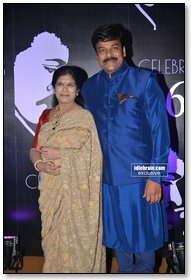 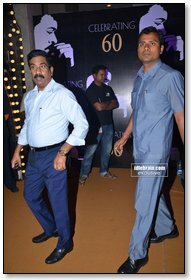 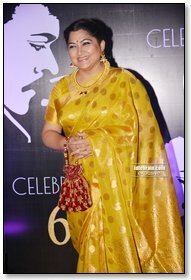 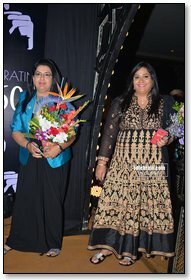 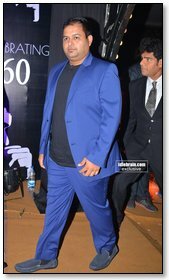 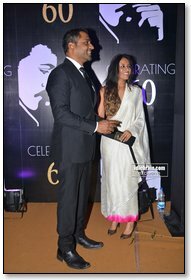 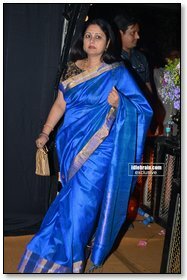 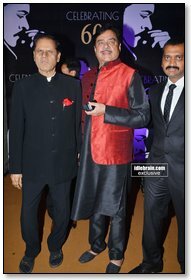 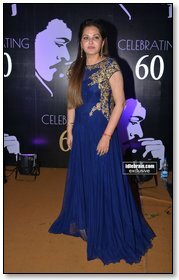 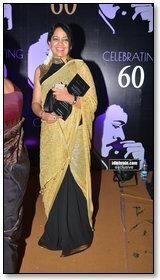 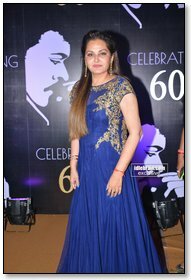 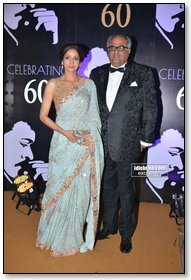 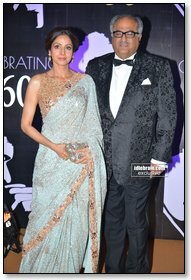 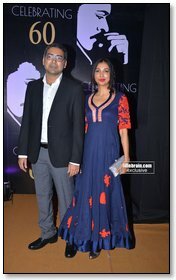 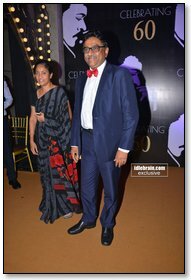 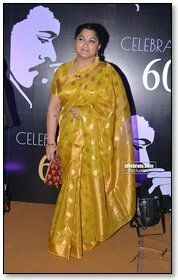 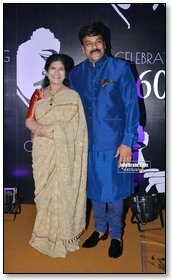 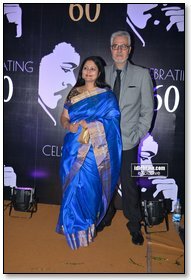 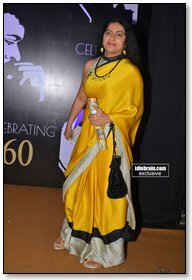 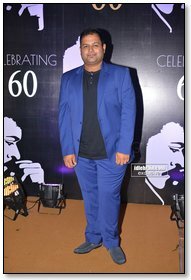 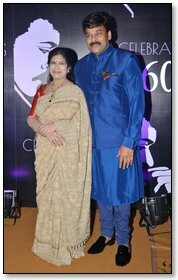 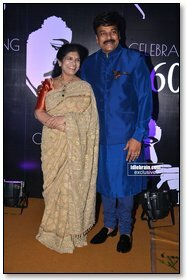 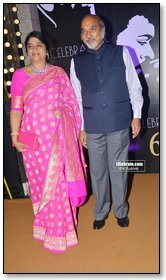 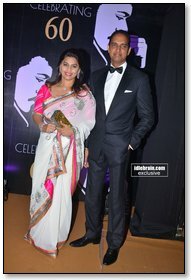 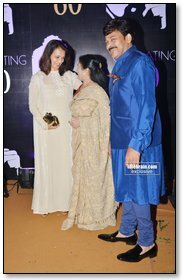 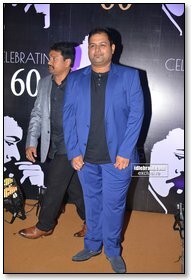 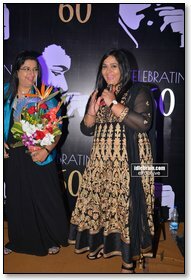 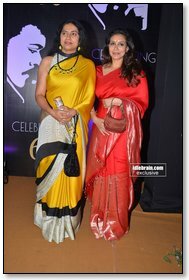 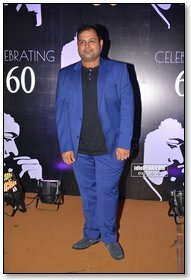 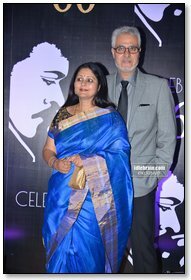 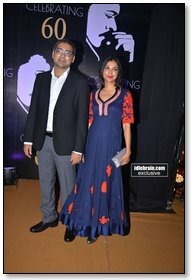 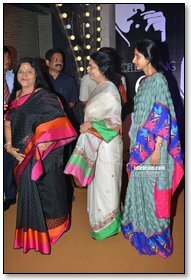 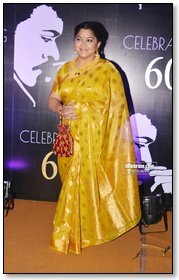 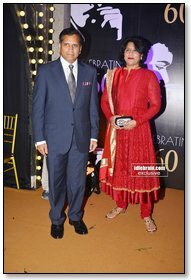 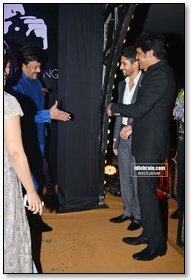 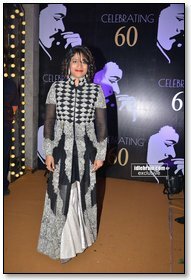 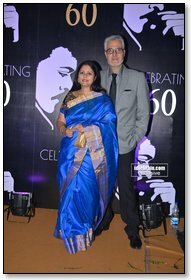 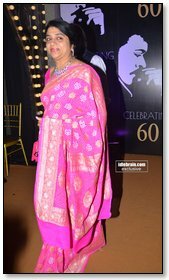 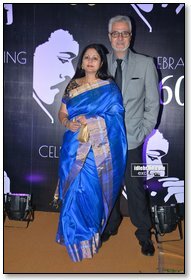 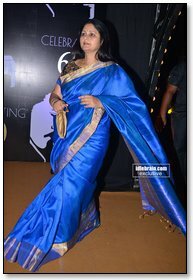 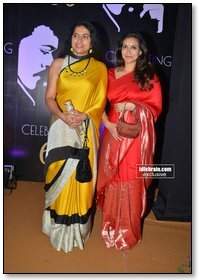 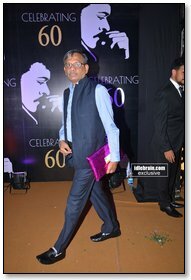 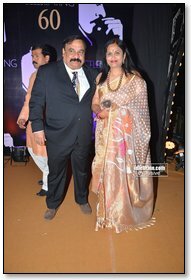 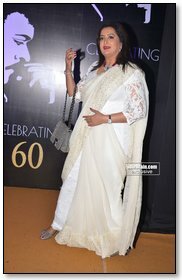 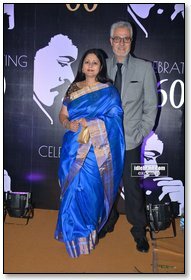 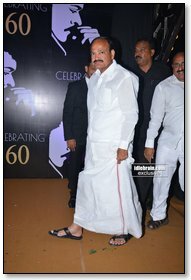 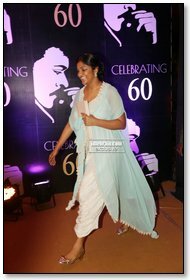 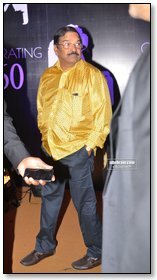 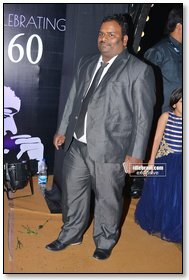 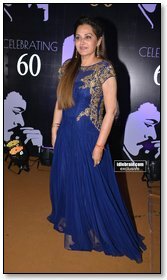 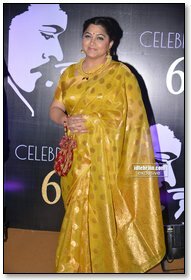 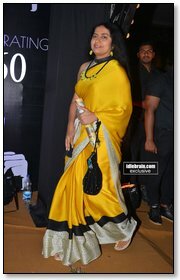 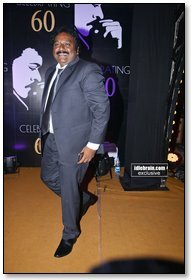 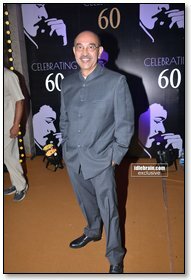 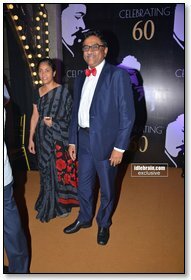 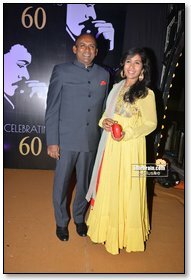 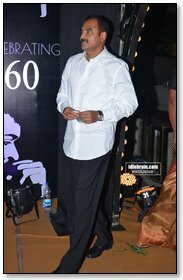 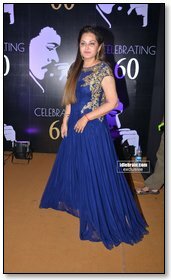 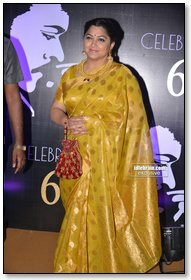 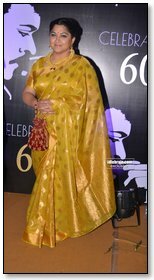 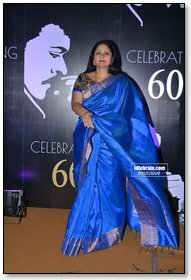 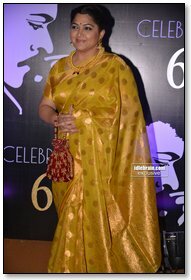 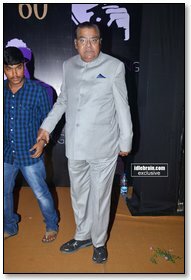 For the occasion, noted Indian designer Tarun Tahiliani was appointed to dress the superstar up - Tarun designed a blue silk bandhgala teamed with a silk kurta and churidaar for Chiranjeevi. 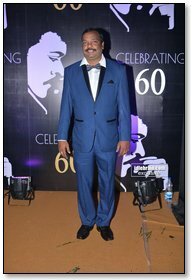 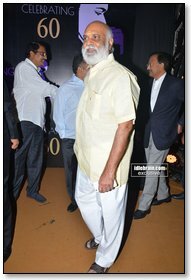 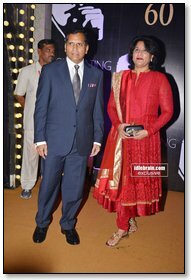 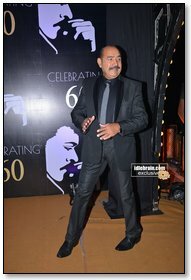 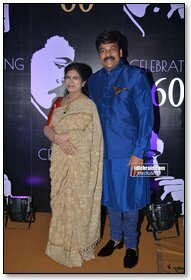 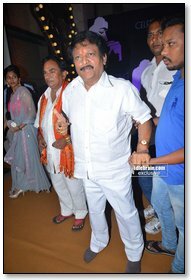 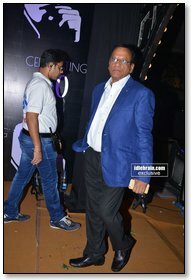 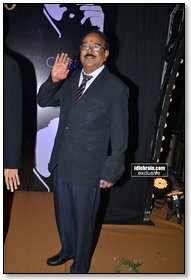 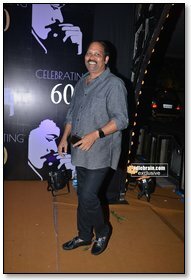 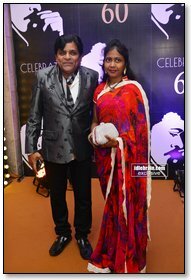 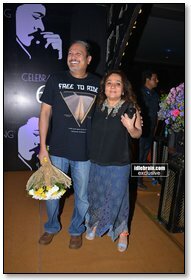 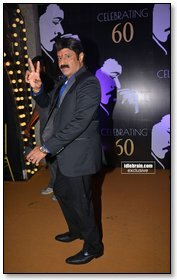 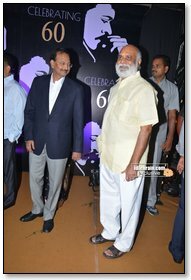 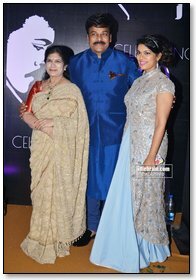 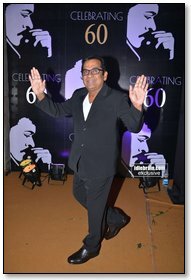 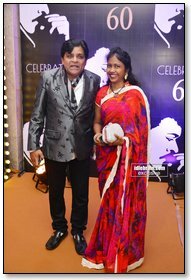 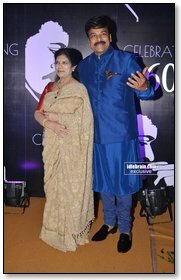 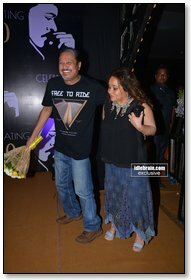 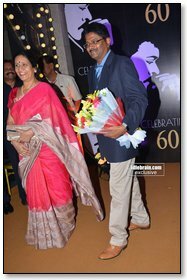 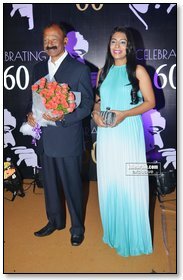 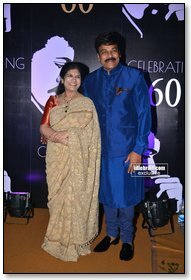 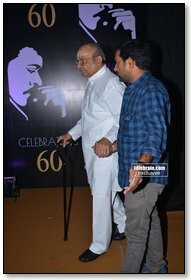 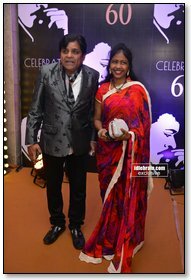 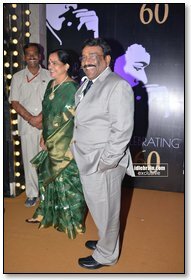 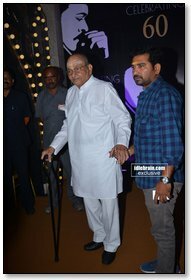 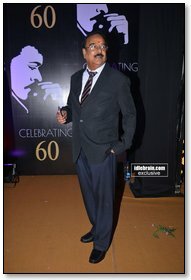 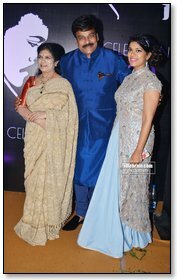 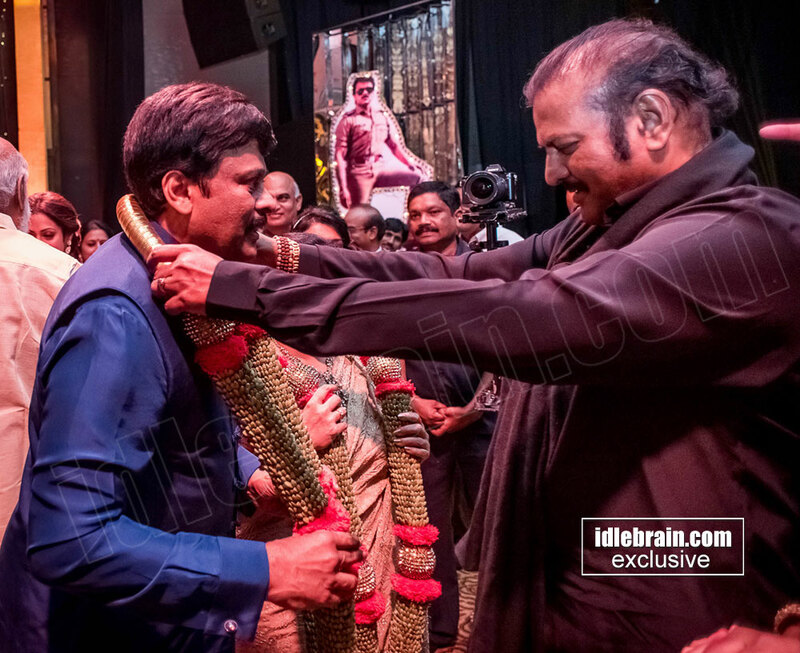 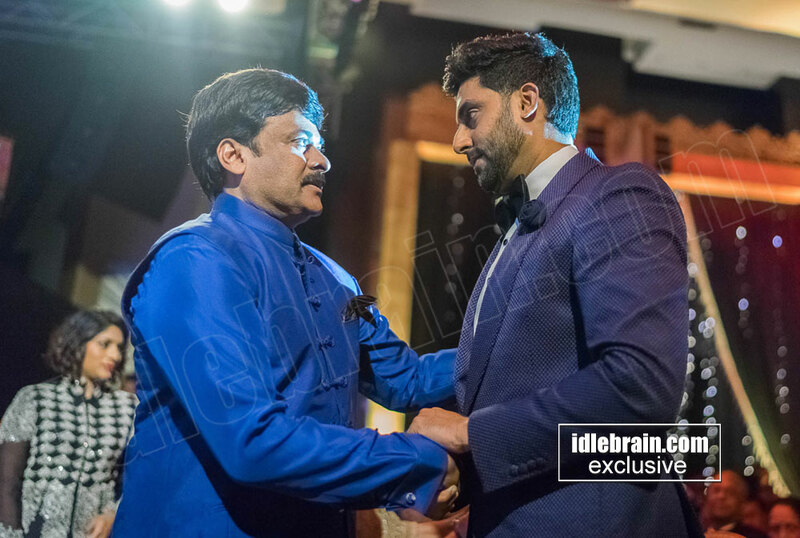 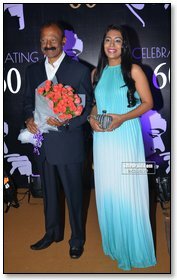 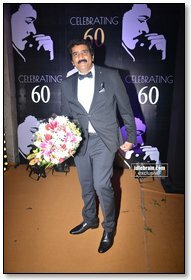 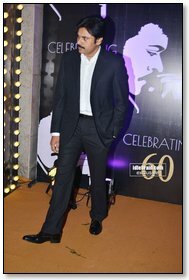 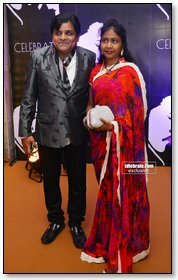 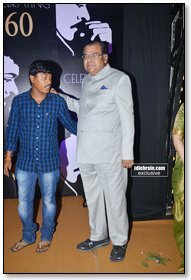 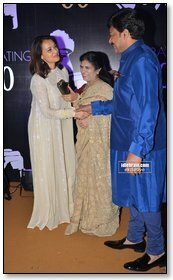 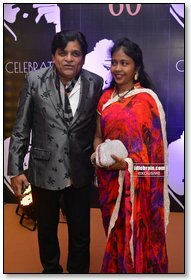 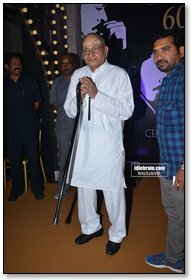 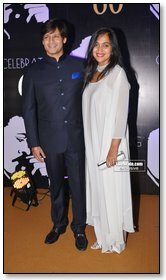 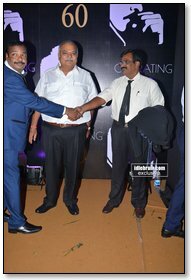 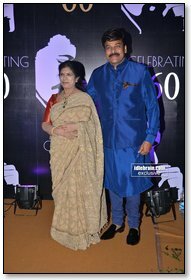 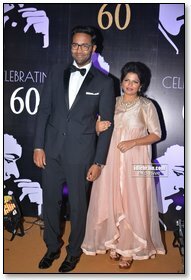 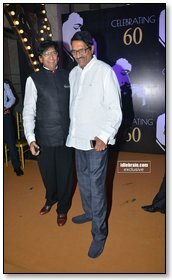 The evening was a double celebration of sorts as it toasted to another milestone in the superstar's career - of Chiranjeevi having completed 35 years in the Indian film industry. 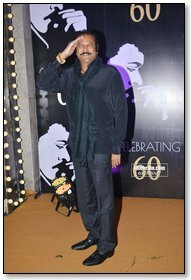 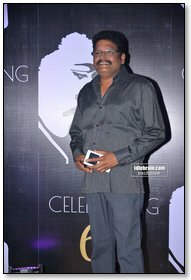 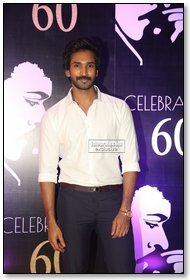 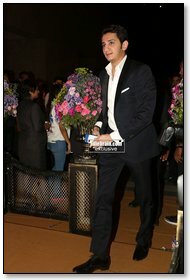 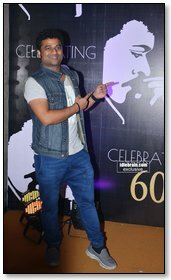 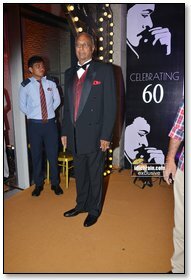 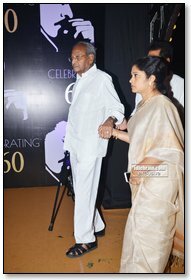 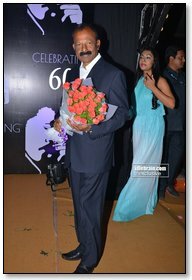 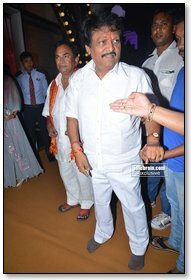 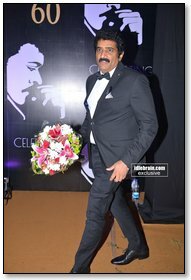 On the occasion, the south organized several activities in his honor , count downing the megastar’s birthday. 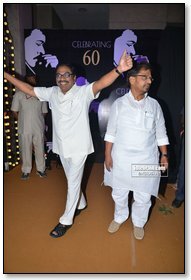 While a singing and dance competition was organized in Andhra Pradesh and Telangana on the 2nd and 9th August respectively, over one lakh trees were planted in both the states on August 15th. 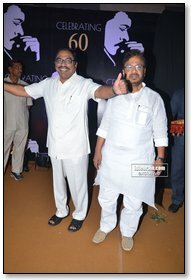 On August 16th a blood donation drive was organized, followed by special poojas that were conducted on August 18th in both states. 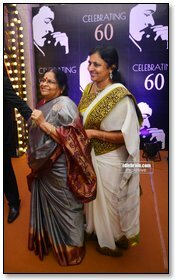 Clothes and other food supplies were distributed in orphanages and old age homes in Andhra Pradesh and Telangana ,as well as in government hospitals and medical camps were organized in both states as well. 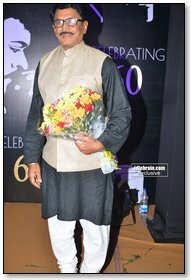 Several felicitation ceremonies were held at the convention centre, Shilpakala Vedika, awarding recipients in the field of education and social service. 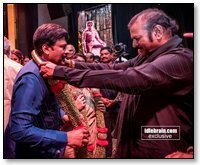 On the day of Chiranjeevi’s birthday, 1001 fans took “ChiranjeeviDeeksha” , similar to Ayappa Deeksha which has taken place for the last 15 years.